Look below for frequently asked questions and how to's. If you still need support in regards to your system, please feel free to call us at 678-493-7761 extension 2 Technical Support. Please note that when navigating through the menus of the system, you move with the arrow keys on the right side of the screen or the A and B buttons for older keypads. Use the # key as an "Enter" key and * as a "Back" key. 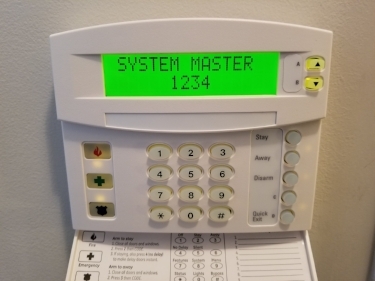 If the keypad is beeping at random intervals, it means there is a system message or trouble for you. This will usually also have a flashing * on the left side of the time on the screen. To check what it is, please press the * button ( Star key on the bottom right). The screen will then display the issue, it may be a low battery, loss of time, previous alarm, or tamper on a wireless sensor. This will usually silence the beeping for a short period, if you need further assistance fixing the issue listed, please call us for support. Press the 9 key, then enter your 4-digit master code. 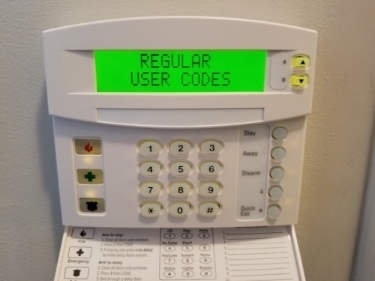 You can change the codes on the system with one of two ways, you can sign into Alarm.com if you have an Alarm.com cell unit and account and click users on the left side of the page, or at the keypad directly. 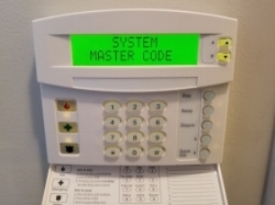 In order to change the code at the keypad, please make sure the system is disarmed first. Using the up and down keys on the right side of the screen, (or the A and B keys on older keypads) press the down arrow to cycle to the User Codes section and press the # key. To change the master code scroll down until you see System Master and press #, then enter your new code and press # to confirm. To change or add an additional code, press # on User Codes to enter the User List. Use the arrow keys to select the user number to edit and press #. Enter the desired code for this user and press # to confirm. 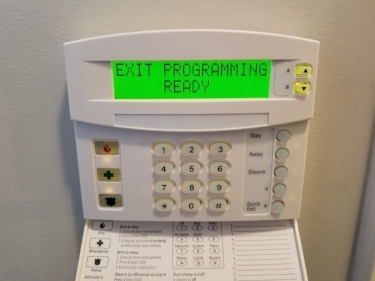 Once you have confirmed your code entry, to exit programming press the star key until you see User Codes, then use the arrow keys to go up until you see Exit Programming. Press the # key to exit programming to resume normal operation. If you require further assistance or have a question about codes please call us for assistance. 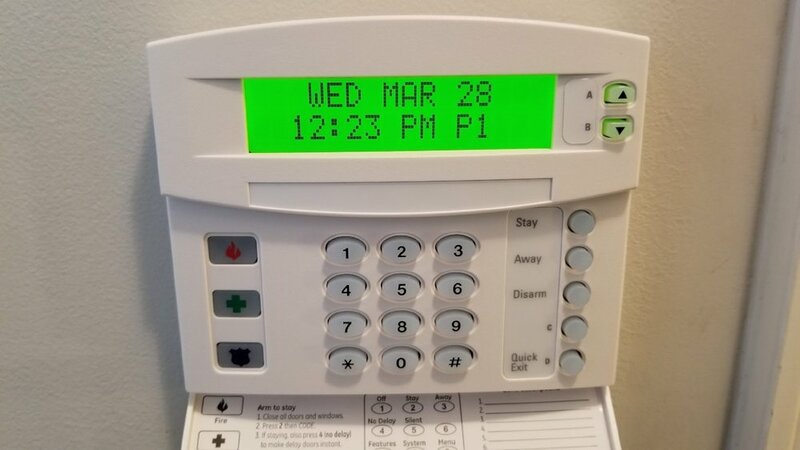 The keypad will then enter the menu, starting at Time and Date. Press the down arrow to scroll to User Codes. While in the menus the # key is the "Enter" button, press # to select User Codes. The first option is Regular User Codes, these codes are for secondary users for the system, if you only use one code for the system, that is your System Master Code. Use the down arrow to select System Master Code. Press the # key to change the master code. At this screen, type in the 4-digit code you wish to use with the system. When done, press the # key to confirm. Verify your code is correct, then press the * key to return to the previous menu. Press * again to return to the main menu with User Codes listed on screen. Use the up arrow key to go to Exit Programming. Press the # key to exit programming and return to normal operation. Press the 9 key, and enter your master code. Press # to select Date & Time. Enter the correct time in HH:MM 24 clock, press # to confirm. Use the arrow keys to cycle to Date and enter the correct date as MM/DD/YYYY, press # to confirm. To exit programming press the star key until you see Date & Time, then use the arrow keys to go up until you see Exit Programming. Press the # key to exit programming to resume normal operation.